What do the stars on my Faber-Castell art supplies indicate? What does the light-fastness rating mean? The light-fastness rating indicates the items resistance to fading. How many colors have the 100+Years light-fast rating? 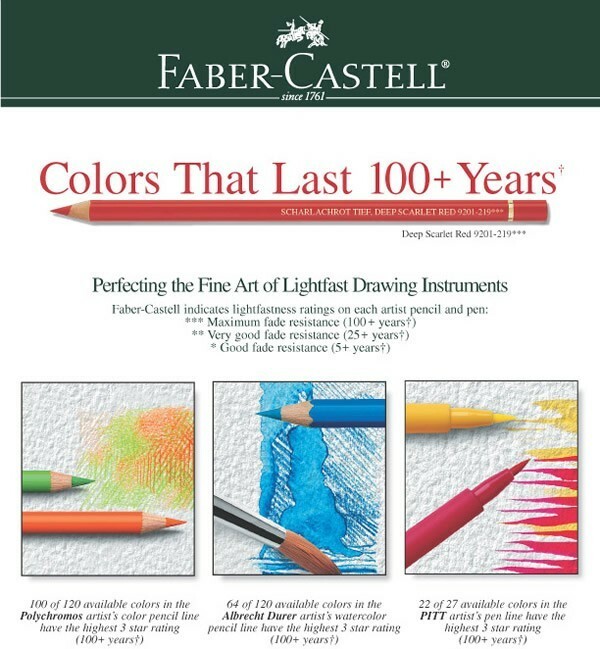 How does Faber-Castell evaluate light-fastness?